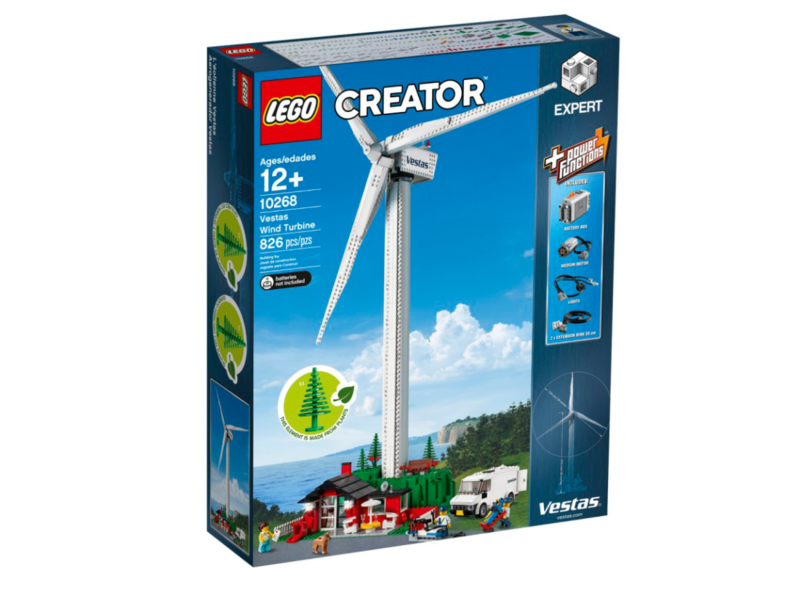 Need some light in dark December with Lego Vestas Wind Turbine, 10268? Want to build your own wind turbine and get some electricity? You can light up the cottage porch lights with this motorized Creator Expert build. 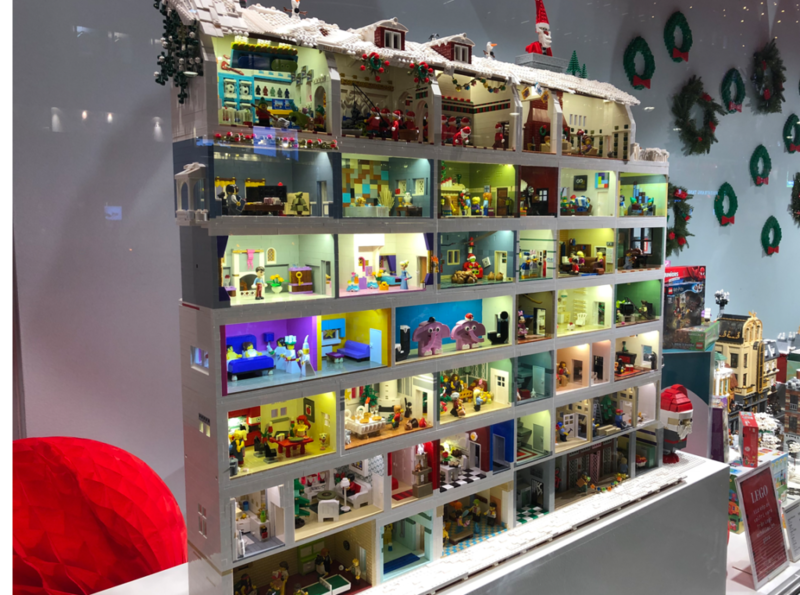 Seems like a challenge, since many lego builders say it took them 19 hours to build. 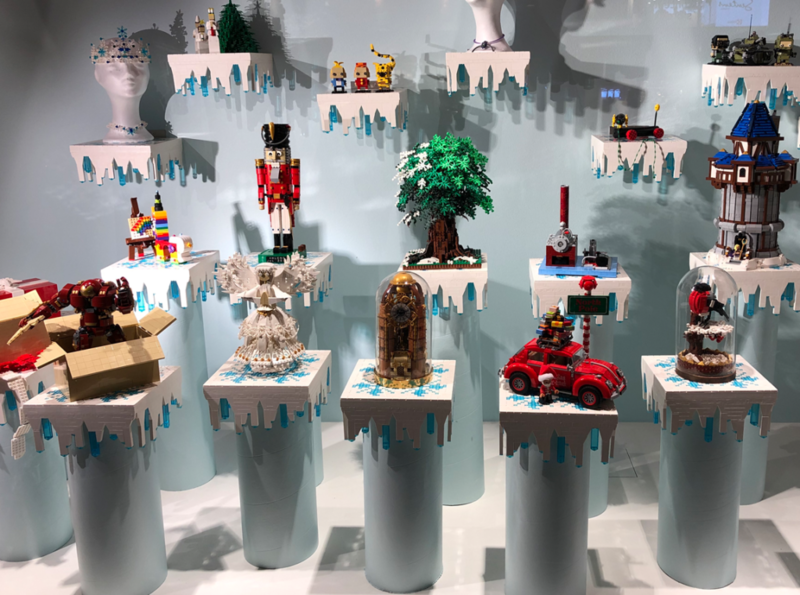 I like that the set have a few spruce trees which has been manufactured from sustainably sourced plant-based plastic. 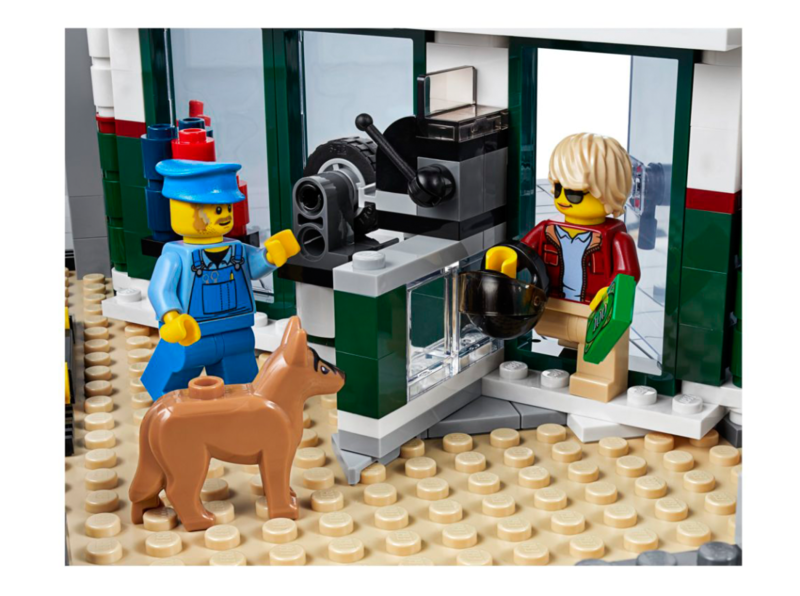 The Wind Turbine set comes with a hill, a house, a service truck and two technicians, a woman plus her dog. It’s about 1 meter high. A fun but necessary details are the aircraft warning lights. 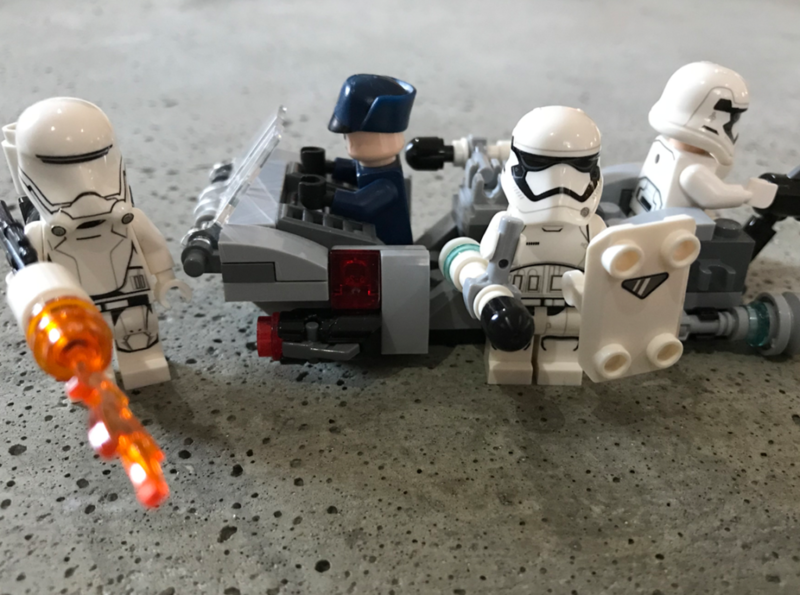 There are four mini figures in the set; one flame trooper with his permanent flame, a first order officer and two first order troopers. 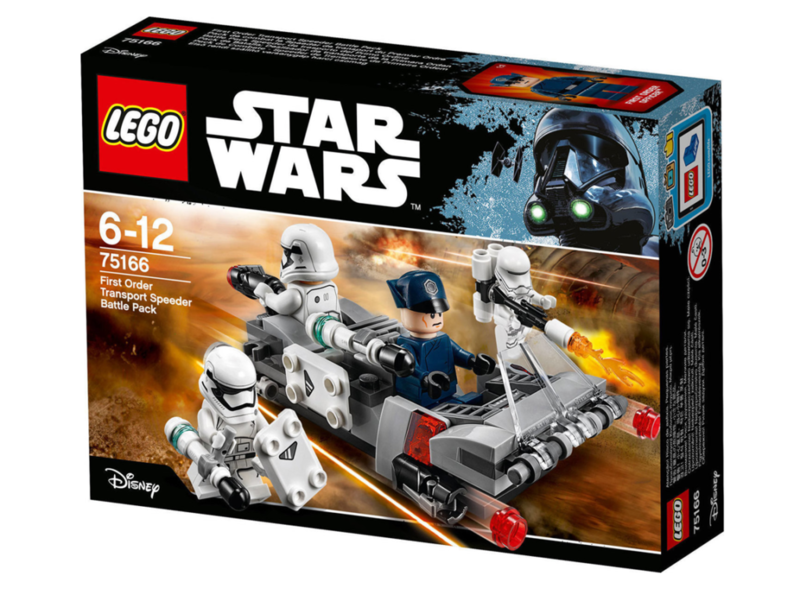 The main set with a transport speeder with three stud shooters, where one can be rotated. At the front there is a cockpit with a driving panel and a window. You can place three minifigures in it and stack their shields and weapons. 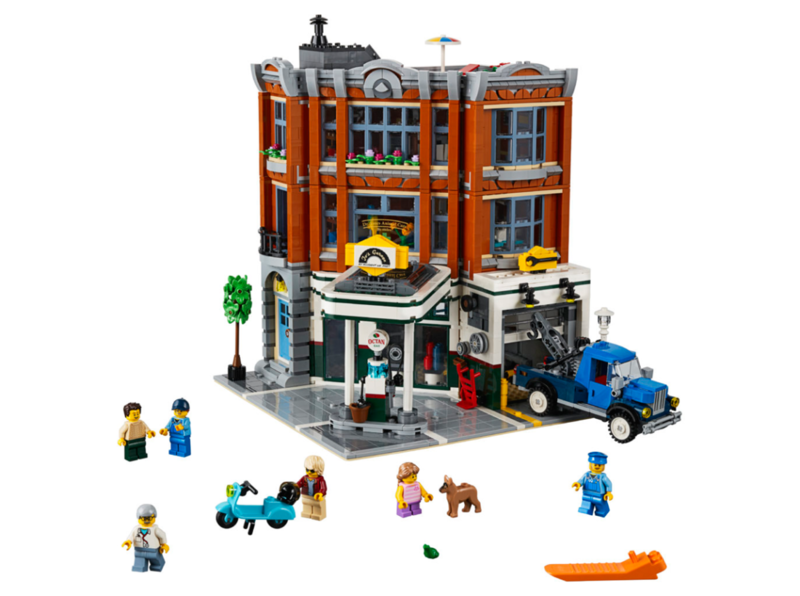 There are 117 pieces in the set. I have previously built this Mountain Lodge MOC. 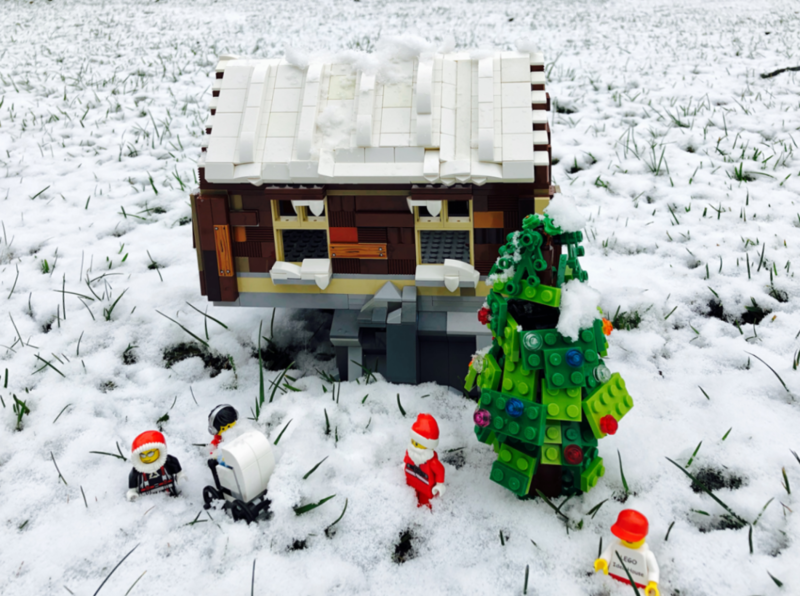 The season has changed so I’ve redesigned the Lodge with winter details to give the house a Christmas look. During the winter we have some serious dark months in Sweden. 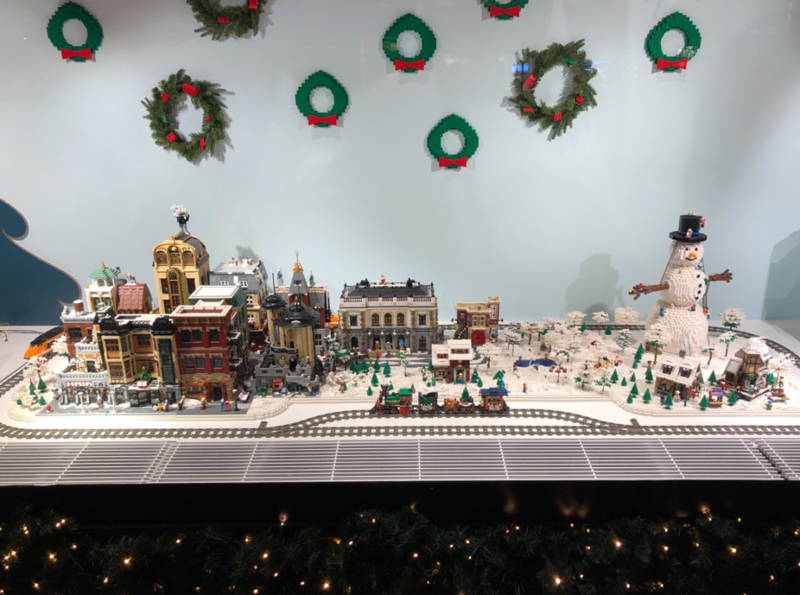 In the darkness the grand department store Åhléns Stockholm light up their traditional Christmas decoration. 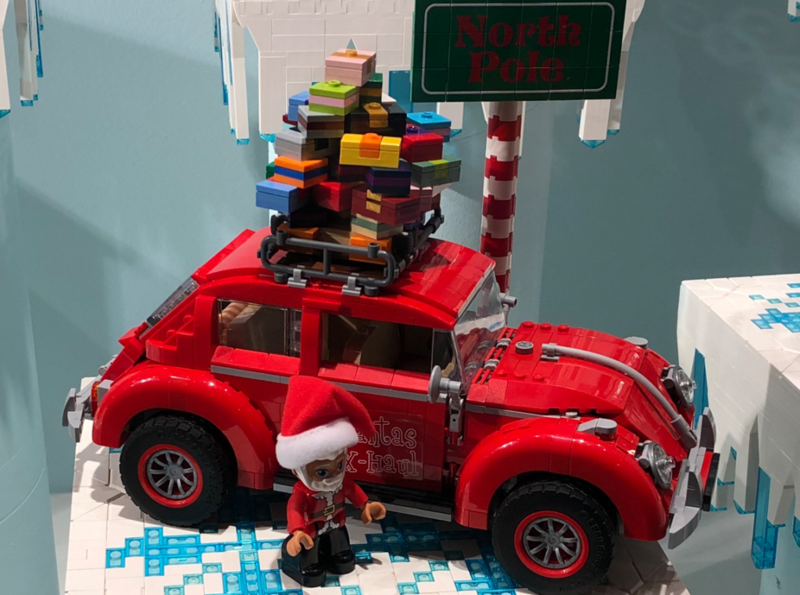 Fortunately this time with Lego. Here are a few pictures! 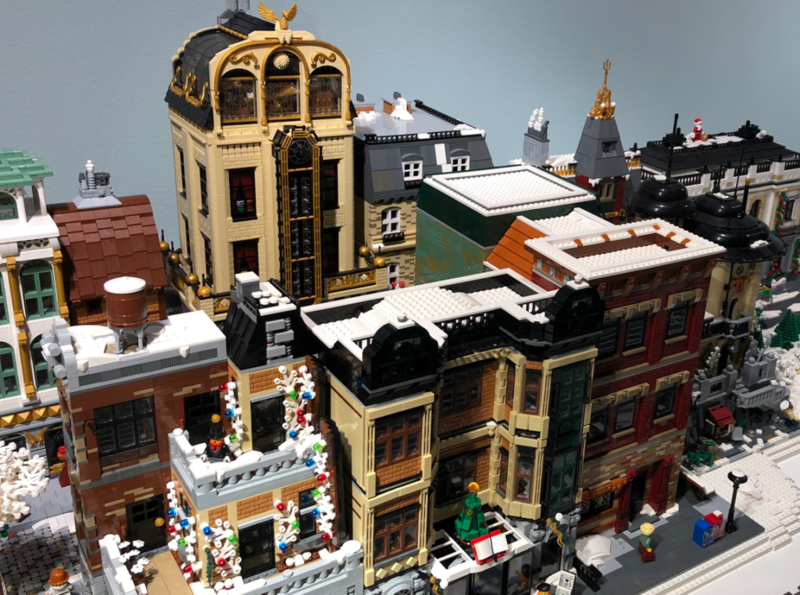 Lego Creator Expert has released the new upcoming modular building with 2569 parts. 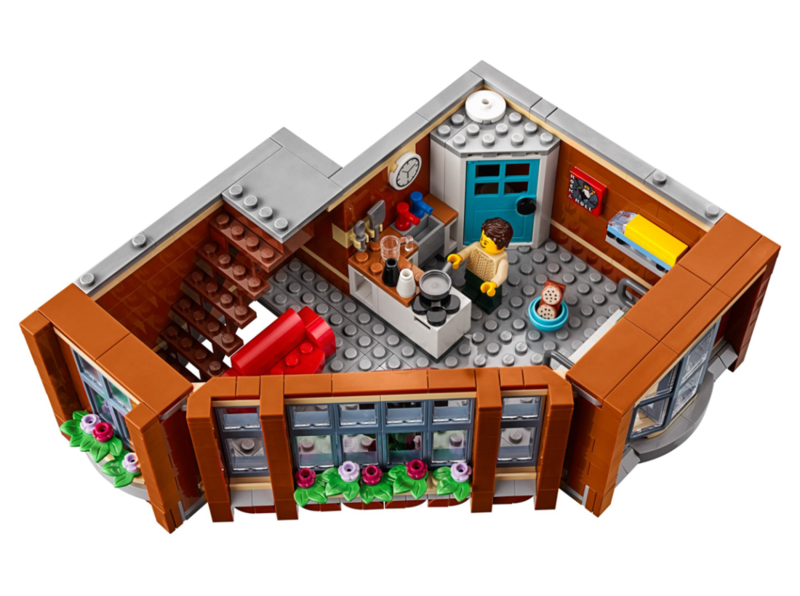 I think it looks a lot better than the last modular, the Downtown Diner. 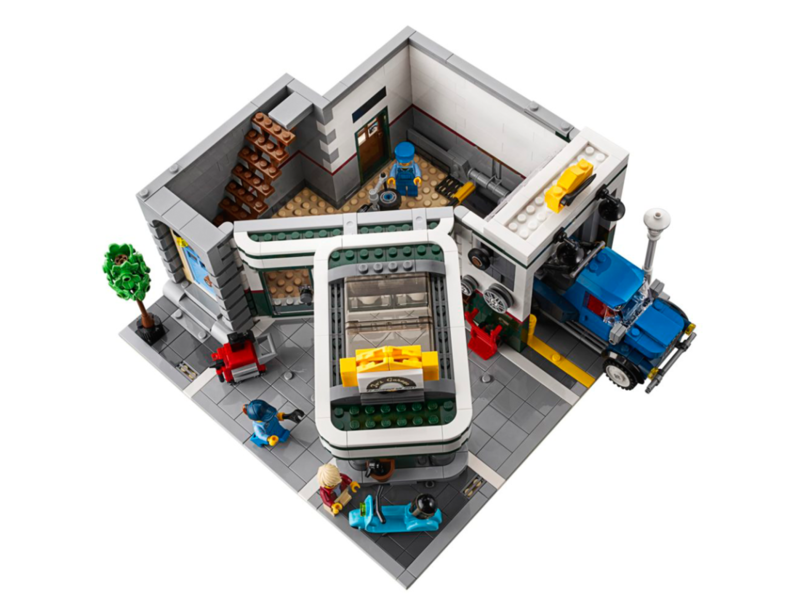 This set is called the Corner Garage, 10264. 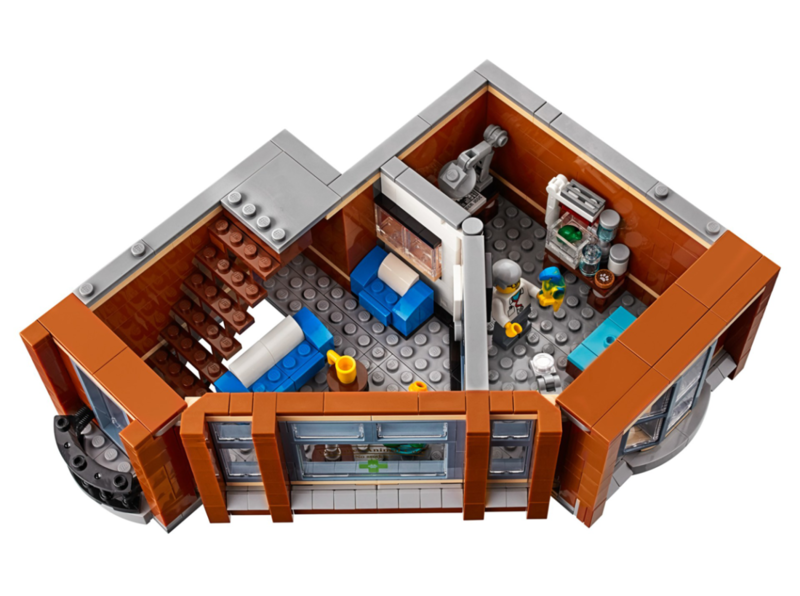 On the ground level there’s a 1950s-style gas station with fuel pump, kiosk and a vehicle workshop with a roll-up door, at the mid-level an animal clinic and on the upper level you find a nice apartment with a rooftop terrace. 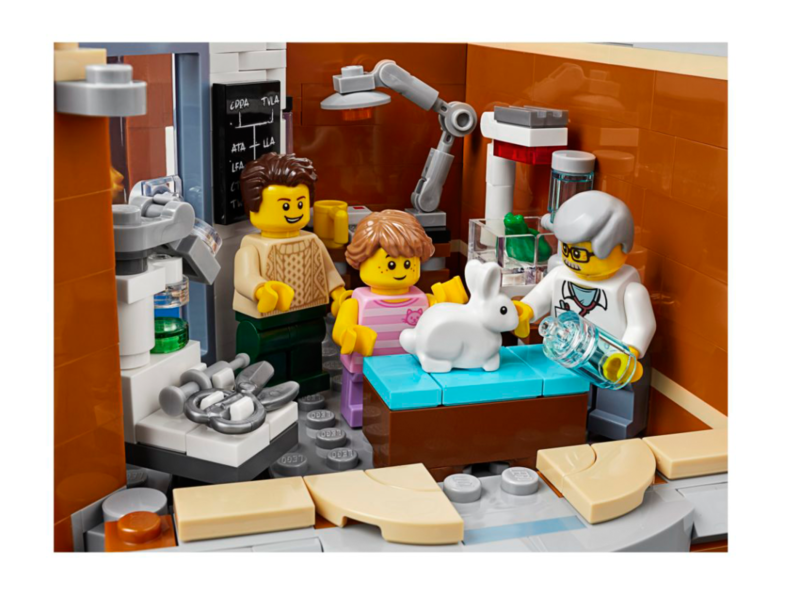 It also includes a scooter, tow truck and 6 minifigures, plus some animals. I like the bunny best. The apartment is cosy and there is a fun angled wall at the vetrinarian. The tree outside has cool new leaf-pieces.